MAD architects were approached by the client after recently purchasing a run down bungalow, with plans to renovate and extend the property to create their dream home. After reviewing the spacial requirements the client was looking for along with the site topography and context we were to put forward a sketch proposal for the reconfiguration of the existing building to contain the bedrooms and a 15m extension providing light and open living spaces. 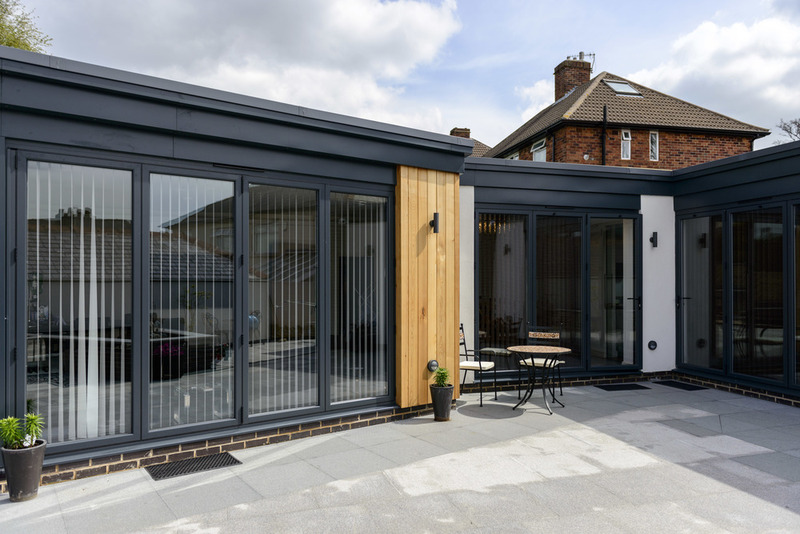 In order to respect the existing streetscape it was decided to refurbish the existing elevations in a similar style to the existing, but with modern materials and small hints of the changes at the back, including the new front door and grey windows. 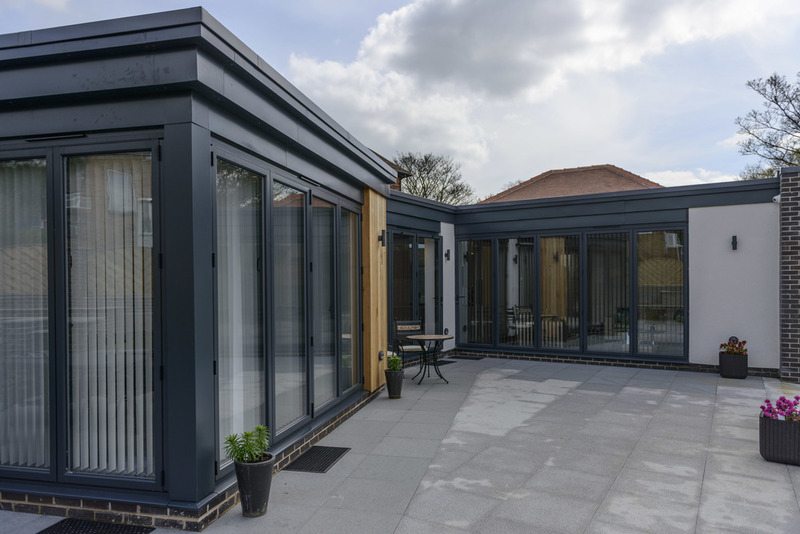 To the rear the extension was treated with a contemporary feel, with extensive dark grey aluminium glazing, vertical timber cladding and dark grey flanking brick walls to contrast the white render to the original property, all capped with a dark grey powder coated aluminium flashing. Despite the suburban location of the site, the scheme received no objections form neighbours and easily passed through planning process leading to an Planning approval with no unexpected conditions. Internally the property continues the modern lifestyle with the original narrow hallway being opened up to provide a dramatic view straight through to the garden. A semi-open plan layout created through the use of glass sliding pocket doors, allowing the living spaces to be linked or closed off as required without doors left intruding into the space. 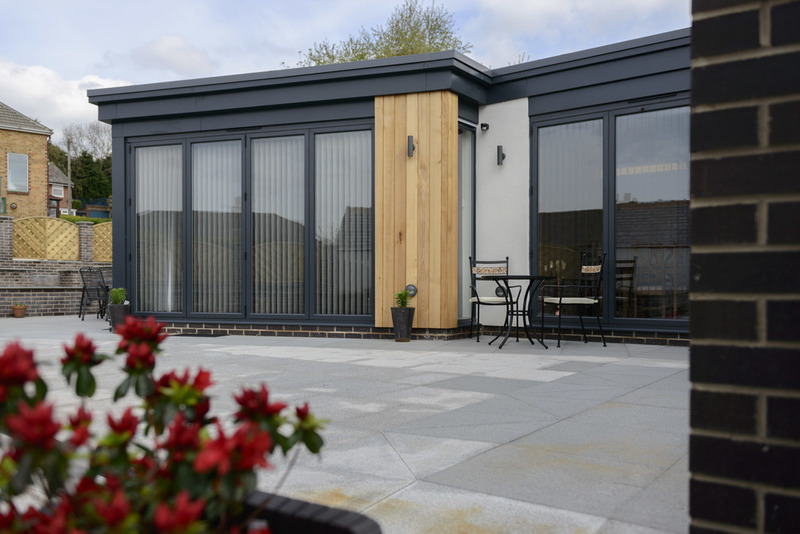 The extensive glazing utilises an advanced aluminium frame with specialist double glazing to reduce heat loss. In addition to this the rest of the building has enhanced thermal insulation and the original building has been dramatically treated, reducing heating requirements to a minimum.